Which show or show/cross bloodlines are showing super hard , extreme hunt ? No matter what some say I refuse to think you can't have the total package . Please no arguments or negative comments on this post ... If you have something bad to say please send it through PM or keep it to yourself . Please don't assume you know my thoughts or where I want to go with this or how quickly . 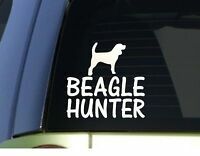 I don't look to achieve greatness just a beagle that I can be extremely proud to own . If you don't have any experience with show or show/cross hounds please don't try to help . I'm stupid enough without blind help . Re: Extreme hunt and more ... Which lines have it ??? Woodpoint beagles i hope this helps or sundown beagles. Here you go Jude ! and she is in northern Ky. Come watch her run ! Give Tracy Crewse a call he also has some nice hunt / show crosses 270-273-5532 The only problem with this type of dog is finding someone that wants to sell them ! My molly dog. Just made a really similar cross. Cant wait for pups. Molly is a freak of nature! I will put her against anything! Extreme hunt on the run whether its 10 below and snow or 90 degrees she has won in the field. she is very fast with nice control and I still am not sure where her stamina quits! LOL Has the brains to go with it! I quit showing her once she made grch. I just dont trial much anymore. BTW......she is also a grhbch. Anyone is welcome to come run with her. She has a litter of pups on her right now though. BTW... Congrats on winning the UKC total dog award!!!! 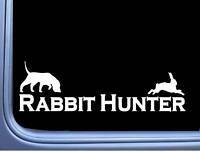 I have seen Molly go in Extreme heat and she does have Extreme hunt and no quit ! She is a very nice female ! CONGRATS on the TOTAL DOG She is ONE NICE FEMALE For sure!!! if yer ever lookin to breed her i just might have what yer lookin For!! Guess Right there would be MY problem I Aint never had any I was 100% satisfied with!! But i have bred for what i thought would make the best of the ones I have Breeding towards a goal. Like I said Buddy I may not have what your looking for but your more than welcome to come take a look.. Give me a Call sometime we can Talk Dogs and i might be able to send ya in the right direction.. Thanks Bobby , I'm a long long way away too but any improvent is a step in that direction . I've found these guys to be great to talk with and commited to creating a complete beagle . Be sure to view some of thier hounds and thier pedigrees .